Leadership Academy of Utah Charter Agreement. 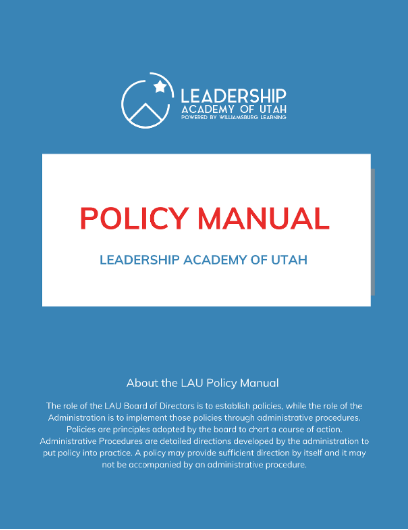 All Leadership Academy of Utah board-approved policies can be found in this manual. Leadership Academy of Utah Charter School policy for students with disabilities are as described in this Policies and Procedures Manual.